Located in the towns of Colchester and East Hampton Salmon River and other surrounding conservation areas host a varity of trails. This bike route follows dirt forest roads, woods roads, and a old railroad bed along the east side of the Salmon River through a narrow valley. The area is very scenic and is popular with hikers, fishermen, and horseback riders. The eastern end of Salmon River abuts Day Pond State Park. THE RIDE: From the parking area at Comstock Bridge, one of three covered bridges in Connecticut, follow paved River Road north past Dickinson Creek. Bear right into the dirt turnoff just past the handicap fishing area and follow the woods road blocked by huge boulders. The road climbs to dirt River Road in the state forest and parallels the river past its many clear pools and rapids. Push your bike to the top of the stone train bridge and follow the dirt and sometimes sandy rairoad grade south. If you ride north the grade reaches a iron trestle high above the river and closed to the public. Ridind south the river is far below but the sounds echo off the steep valley walls. Follow steep Bull Hill Road downhill and immediately turn sharply right onto a gated woods road. The road passes a logged area before desecending to secluded Dickinson Creek. The rough road climbs to a gate before becoming paved. The road descends to River Road and Comstock Bridge. Additional easy riding is found past the state forest picnic area south of Rt. 16. A dirt road, sometimes eroded, follows the forested narrow river valley south to the Leesville Dam on Rt. 151. The ride to the dam from the picnic area is about three miles one way. 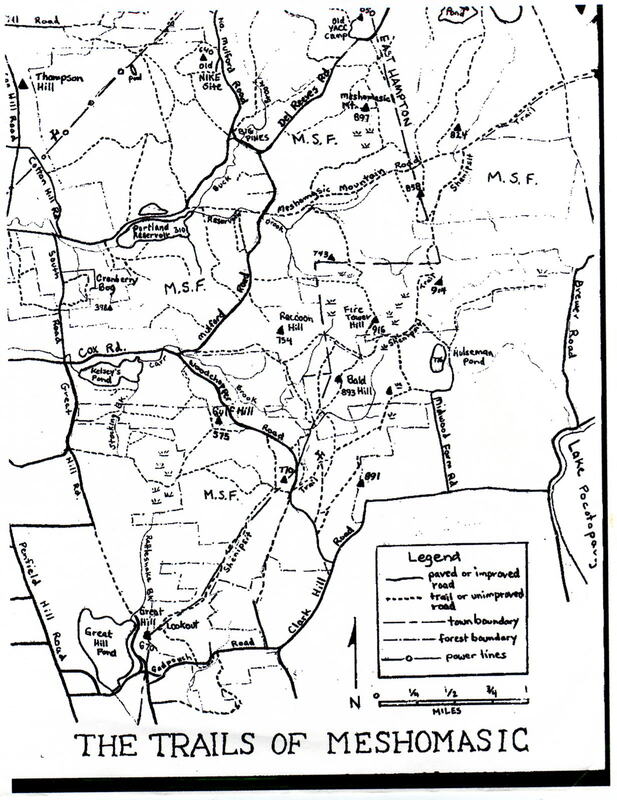 Comstock Bridge and Salmon River State Forest are located on Route 16 at the Colchester and East Hampton town line.